The Court in Castle Hill. The Building of the Former District Court is rigorous and elegant decoration of the left bank of the Vitba River. Constructed in late classicism, the building has become an integral part of the history of Vitebsk, not only at the end of the XIX century, but during the Soviet era. And even now it enters its pages in the history of the modern city. In order to make the project of architect I.Zalesski and engineer M. Korchevski real they even had to demolish a part of the famous Castle Hill in Vitebsk. That was in 1882. This very date is related to the start of construction of the Building of the Former District Court. And in 1883 the collection of Vitebsk attractions gained another valuable exhibit. Today, the Building of the Former District Court differs favorably among urban building due to sophisticated and refined elements of the late classicism. As the history of Vitebsk testifies, the left bank of the Vitba River had not been built up for a long time because of inconvenient location. Although there were some old buildings, but they did not decorate the urban landscape. That`s why at the end of the XIX century it was decided to mark all the existing buildings for demolition, and finally to settle down the improvements of the city. The Building of the Former District Court was constructed in 1883. This in turn gave a strong incentive for further improvement of the left bank of the river. As later architects noted, despite all the inconveniences of the construction, it was a very comfortable and spacious place that allows erecting unique buildings. Soon on the left bank of the Vitba River a unique architectural complex appeared which harmoniously fit into the landscape. 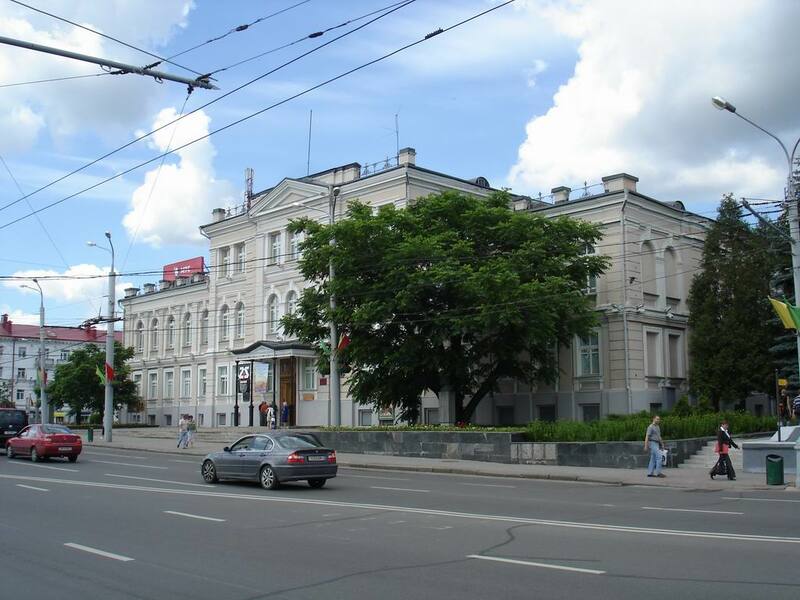 The Building of the Former District Court, men's gymnasium and noble house were included in the treasury of priceless attractions of Vitebsk. 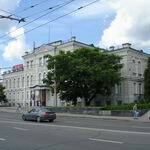 Among numerous tourist attractions in Vitebsk the building dated the end of XIX century cannot be confused with anything. You will be impressed at a glance by an unprecedented monumentalism and a grand scale of forms. The two-storey П-shaped building differs for the symmetrical different compositions. The facade faces Freedom Square in Vitebsk, and its three-storey central part slightly moves to the fore. At the top the composition is accomplished by a decorative wall and a triangular fronton. This architecture technique has allowed diversifying and making the facade of the Former District Court more rich and solemn. 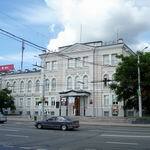 If you do not know what to see in Vitebsk, walk to the Building of the Former District Court. Slowly enter the lobby - and you will freeze in amazement. Front metal staircase, rich classical decor, cornices, stucco ceiling lamps - and for a moment you will feel like you're on an aristocratic ball, surrounded by luxury and celebration. Perhaps that is why among numerous museums in Vitebsk tourists choose first acquaintance with splendid and magnificent architecture of the Building of the Former District Court. Speaking about design, one should mention that on the ground floor offices have been designed which were on both sides of the corridor. And on the first floor the landlords lived, there was an office and a room for receiving guests, performed in the best traditions of classicism. Then the era of balls and aristocratic entertainments passed and the Soviet power time came. Although the building has not lost its significance: in 1917 Revolutionary Military Committee of Vitebsk worked in the Former District Court. After the Great October Revolution it was replaced by the Soviet of Workers' and Soldiers' Deputies. The 1st Conference of the Bolsheviks also took place here. 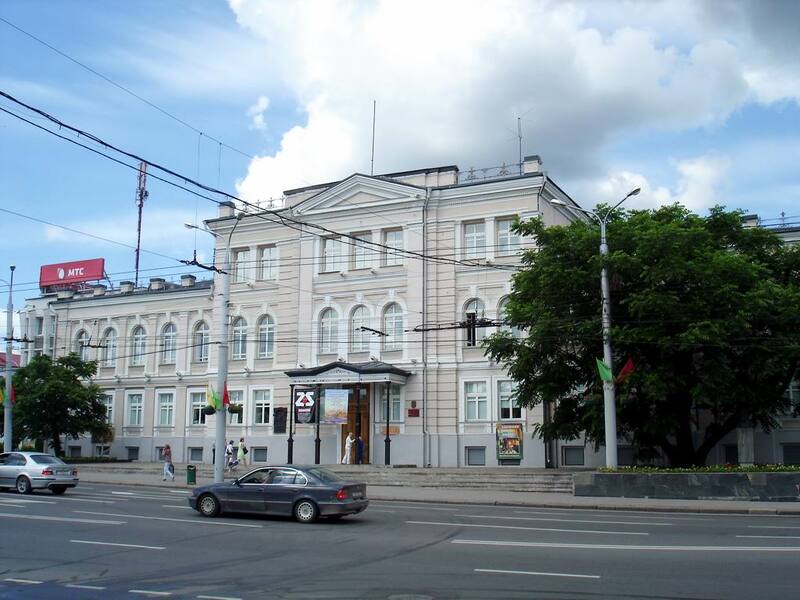 Over the years the building was passed to the regional committee of the Communist Party of Belarus. Today, Art Museum exhibits its collection. By the way, city portal VitebskCity.by contains information about the city attractions located next to the Building of the Former District Court. An original and unusual decoration of the city is Frunze park and Pushkin Street. Visiting Museum "Dukhovskoy Kruglik" will be real pleasure for folk fans. Unseen paintings and grand architecture of the Resurrection Church will win the hearts of many tourists. Address of the Building of the Former District Court: 32, Lenin Street. (Freedom Square).